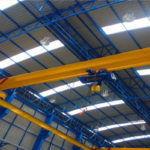 As the market turns sophisticated, the magnetic overhead crane comes into being under a number of the demands, and very popular about many countries and regions. 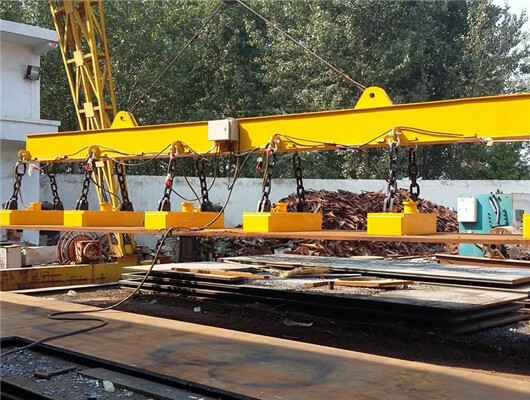 The magnetic cranes can generate powerful magnetic forces and are used in scrap steel recovery departments and steel-making workshops. It is especially suitable for metallurgical factories to load and unload magnetic black metal products and materials (such as steel ingots, section steels, and pig iron blocks) indoor or open-air fixed spaces. It is also commonly used in mechanical workshops and warehouses to handle steel materials, iron blocks, scrap iron, scrap steel, scrap iron and other materials. All in all, for the occasions, purchasing the magnetic type is your best choice. If the clients have special needs, we can design the shape of the lifting electromagnet. The electric disk can be selected according to suitable temperature and the length of lighting materials. In order to guarantee safe production and improve the labor skills, the crane equip with various magnet types. There are rectangular, round and other types. Of course, when the customers buy the products, we can provide them all kinds of magnet devices as a complete set. The parts of the products is independent unit, which helps the users’ transportation even in harsh way. 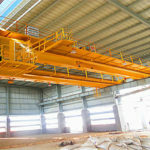 Owing to reasonable design, QC model is one lifting equipment in all kinds of the overhead travelling cranes. 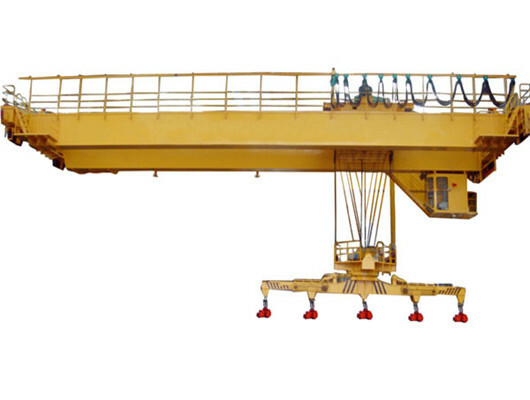 The lifting capacity has different tonnages; the lifting height is from 6 to 18 meters; the span is from 10.5 to 31.5 meters. The lifting and trolley travelling speed has different standards. In addition, the working grade is very high and it can work in harsh working environment of -20 to +40 degrees. If you should work in the special working condition, the parameters can be customized according non standard design. There are two operation ways with driver’s controlling room and remote controller about it. You can choose the one, or two types can work together with other equipment when the product loads and unloads complicated goods. The driver chamber platform entrance direction has three models. According to convenience, you can choose the simple one. If you make the its function equip with a power outage, we can provide it. But, when you order products, you need indicate the part. 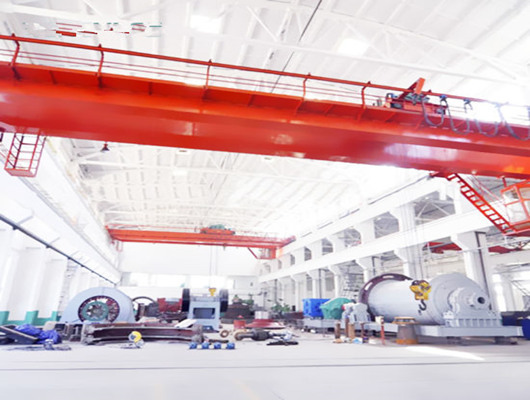 According to structure of the electromagnetism overhead crane, it has many advantages. It can load and unload all a sudden in working process. 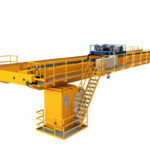 The operator can select the structure components when you purchase the crane. In general, the light duty cranes have light weight and smaller size. 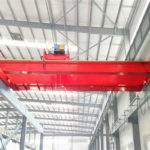 Because of this feature, compared with other cranes that can transport the long distance objects and heavy goods, the light type magnetic overhead crane can be located in small workshop and can be operated indoors. Of course, it can work outdoor according to the users’ requirements. Currently, the light type has been playing an increasingly important role in our daily life. 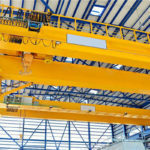 In modern construction, many items cannot be manually transported due to their heavy weight, but the cranes can easily replace manual transport, saving time and effort. In addition, Without light cranes, some of our work will become even more inconvenient. It will save human resources to the maximum extent, which ensures the safety and reliability in production process. Through the introduction of Weihua products, we believe you have a deep understanding of light cranes. 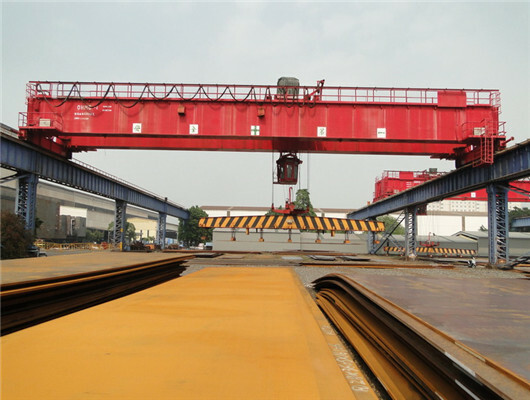 Weihua is a company specializing in all kinds of cranes, such as single beam cranes, double girder cranes, gantry cranes, and other overhead cranes. In construction machinery industry in China, we adhere to the principle of integrity-based, sound management and courageously participate in the healthy competition in the market, so that our company’s brand has won a good reputation. We adopt service first and customer first, which wins the trust of customers in engineering and construction, and establishes a good corporate image. The factory not only manufacturers various products but also has good service. When you decide to visit our factory in China, we will help you do with many unnecessary troubles. We will arrange for staff to accompany you to visit and answer your questions. Everything is based on your spare time. We will also prepare some surprises for you. Don’t hesitate it. If you have spare time, welcome to China. As the leading supplier in China, our group is very glad to introduce ourselves about the magnetic overhead crane. We have long years experience in product manufacturer and supplier. Our company designs products relying on the national standard and has high quality guarantee. 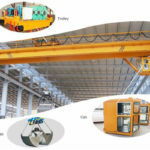 Our experts have the the knowledge of the performance and use of all the cranes’ mechanisms and devices, as well as all the common information of electromagnet equipment. In addition, they also have knowledge of operation and maintenance and practical skills of all agencies, and are familiar with the meaning of various lifting command signals. After several decades’ development, our products have been delivered to more than 60 countries and regions such as the Algeria, Australia, New Zealand, Pakistan, Yemen etc. 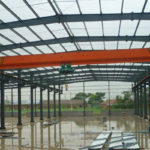 We can supply clients from all over the world with all kinds of cranes. We have our own team that specializes in researching and developing new products. We make the customer first and offer reasonable advice. If users has other ideals, we can adopt corresponding measures to supply the product. Recently, as the construction machinery industry turns competitive, the pursuit of customer also increase the other height. However, on the one hand, it can enhance market and economic development. On the other hand, it maybe eliminate some small size and poor sale companies. Of course, our company’s products are all independently manufactured by development and research of long year. According to users’ requirements, we will give priority to the principle of safety and economy. So, when you order our products, we will give you reasonable price. 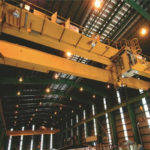 Do you researching for the magnetic overhead crane? 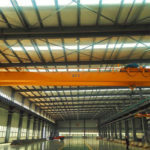 Why to choose Weihua crane? If you are interested in about it, please contact us. Email us or call us as soon as possible.